TheLotter was founded in 2002 and is marketed as a "first of its kind" on the online gambling scene. The site has since built up an excellent reputation for its international lottery service, and has paid out a whopping $32.5 million in prize money during the last decade-and-a-half. Most national lotteries only allow gamblers who are resident in their governing jurisdictions to take part. This means, for example, that a Spanish player cannot enter the UK’s National Lottery unless he or she moves to Britain and takes up residence. TheLotter allows punters to bypass these geographic restrictions and legally bet on lotteries abroad. Companies who provide this service are variously described as ‘lottery concierge firms’ or ‘lottery agents’, and most have a subtly different approach to getting around residency requirements. TheLotter has over 20 local offices worldwide, and uses these bases to purchase physical lottery tickets from official retailers on behalf of its users – these tickets are then scanned and uploaded to users' accounts. The outfit makes its money by including a handling fee in listed ticket prices, meaning TheLotter doesn’t take any commission from players’ prize money if they win big on a foreign draw. 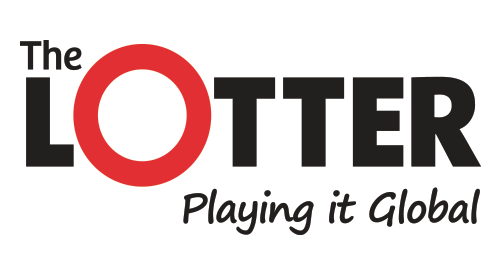 Punters can use TheLotter to purchase tickets for over 45 different lottery draws. The breath of the site’s offering is impressive – users can wager on lotteries in Brazil, Russia, the US and Europe, and have plenty of choice within these regional sub-categories. There are a total of nine draws based in the USA, including local state lotteries in addition to the country-wide Mega Millions. Lotteries can be entered alone or as part of a syndicate structure intended to tilt the odds of winning and save money. TheLotter offers syndicate play on giant draws such as Mega Millions, EuroMillions, and the My Millionaire raffle. It’s also possible to buy bundled tickets that reward players with discounts on their high-volume purchases. There are three types of bundle deal: the Classic, which offers fewest lines, the Deluxe, or the Premium, with the latter option offering the best odds of winning. Players buying online lottery tickets with TheLotter will be delighted to know they receive a generous 25% savings on Multi-Draw packages. Simply select one of the many Multi-Draw packages, play 5, 10, 25 or 52 consecutive draws and save up to 25%. Gamblers who’ve picked winning rows will receive an automatic e-mail from TheLotter to inform them of their good fortune. The site’s terms and conditions guarantee that any winning tickets belong to player(s); this guarantee also applies to any cash connected to the tickets in question. The firm divides winnings into two de facto categories, these being primary and secondary. Primary prizes include jackpots, cash subject to local taxes and sums of $2,500 or more, while secondary winnings cover all non-jackpot prizes and sub-$2,500 sums that aren’t subject to local taxes. The latter bracket of winnings is processed by the company's Prize Collection Service and transferred directly into players’ online accounts, however punters who scoop the jackpot must travel to the location of their chosen lottery to collect prize money. While might sound like a bit of a stretch for a newly-made millionaire, TheLotter kindly offers to pay for most flights in the event of a big win. Once secondary funds are credited into gamblers’ online accounts, this balance can be converted into cash via a simple withdrawal process that will be familiar to anyone who’s played video slots or table games. Players must supply the company with ID in order to verify their identity before gaining access to funds, which are then transferred into designated bank accounts or e-wallets (each of which is subject to a set processing period that can be viewed on the main site). The cost of tickets at TheLotter varies according to the lottery players choose. At the time of writing, three lines in the Colombian Baloto will cost a UK resident around £10, while playing eight lines in the South African lotto will be priced at around half this amount. Players can also elect to pay via a direct debit subscription that entitles them to one free ticket out of every ten. While it’s extremely difficult to compare TheLotter with competitor firms who don’t offer the same selection of draws, prices usually aren’t much higher than market value: buying three lines for the Powerball will cost approximately £10 through TheLotter and around £6 at rival firm LottoLand. If this seems a little steep, it’s worth bearing in mind that other sites typically take a chunk of winnings in the event of a jackpot win, whereas TheLotter doesn’t touch a penny.